I love human powered vehicles. Ever since I came up with my own concept for a human powered hydrofoil in the 80s, I've been a bit obsessed with propulsive HPV designs. I'm always amazed at how just about any design falls back to a simple chain and sprocket configuration. Of course, this isn't a boat, but it does highlight the potential for a drive system that could easily be adapted. 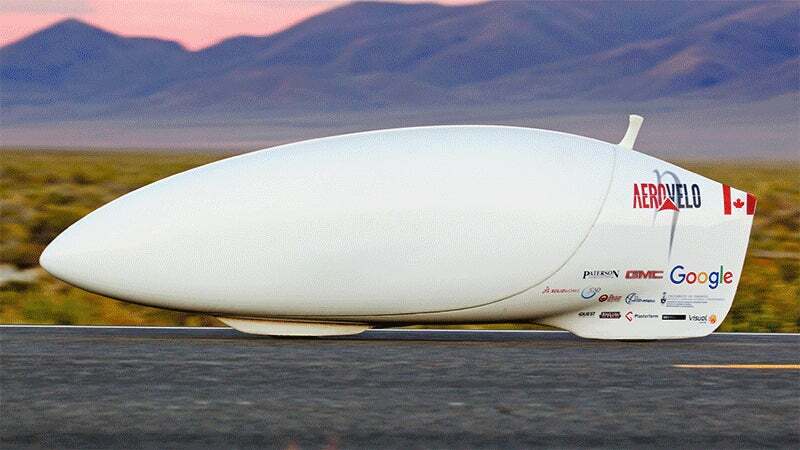 This little "bicycle" just broke the speed record at 89.59 mph. Yeah, almost 90mph. Here's a peek under the hood at the drive system and construction.